Symphysis Pubis Dysfunction (SPD) is a complication experienced during pregnancy. It is not a common condition, normally occurring in about 1 in 35 pregnancies. The symptoms of SPD tend to occur later on in pregnancy. Symptoms of SPD are mild to extreme pain in the pubic area, back, hips and thighs. What causes SPD? It is caused by the hormone Relaxin. Relaxin is responsible for relaxing the ligaments in your body. By loosening the joint at the front of the pelvis, birth is easer. However in some cases it allows this joint to open up too far causing instability in the pelvis. An unstable pelvis coupled with increased weight bearing on the pelvic joints causes the bones to rub or grind together and this can result in extreme pain. The first symptoms are normally pain when walking, and excruciating pain when doing anything requiring standing on one leg, such as climbing the stairs. You may also hear a clicking or grinding sound as you try and walk or open your legs such as getting out of a car. SPD is one of the most painful conditions that a woman can suffer from during pregnancy and is also one of the most difficult to treat. Unfortunately, this condition only worsens with additional pregnancies. Many SPD sufferers elect for a C-section. Many SPD sufferers find that the symptoms start easing 1 month after giving birth. During this time, it can be very frustrating and painful for the new mother who may be bed bound. How do you relieve the pain associated with SPD? Pelvic floor exercises have been known to help in strengthening the muscles surrounding the pelvis and assisting in supporting the pelvis. 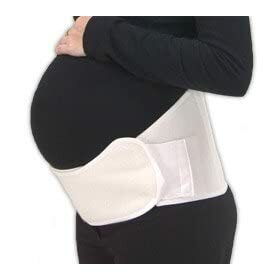 The only treatment widely available for SPD is an elastic support belt. This belt is used to stabilize the pelvis and to try and prevent, to a certain degree, the grinding of the pelvic bones. However, this elastic belt does not address the problem itself-misalignment of the pelvis due to increase in weight bearing and loosening ligaments. As its name suggests, the elastic support belt is only a means of support. During pregnancy, the muscles surrounding the pelvis experience a lot more stress and strain due to the increased weight bearing. The added strain combined with loose ligaments is what causes the pelvis to misalign and this in turn causes pain. If you could relieve the strain in the muscles surrounding the pelvis, you will be able to remove one factor contributing to the pain in SPD. How do you relax the muscles around the pelvis? The Bowen Technique teaches a very simple and highly effective method of relaxing muscles and realigning the joints in the body. This technique is very safe, simple and easy to use and can be learnt by anyone. By effectively relaxing the muscles surrounding the pelvis, you relieve the pelvis of any added strain and reduce the likelihood of pelvic instability.A combination of pelvic exercises and the Bowen Technique can help prevent your symptoms from worsening. Studies show that well controlled SPD in earlier pregnancies lead to less complications later on. Here is testimonial from a fellow SPD sufferer and how she uses the Bowen Technique to ease her pain. I hope you found this post useful!! For more info on the Bowen Technique visit BowenForHealth. I am very curious if I may be suffering from this at this point. I'm 8 months pregnant, and I have horrible pubic pain by the end of the day, even while laying down and shifting from side to side. Great post! I actually suffered from Diastasis Symphysis Pubis while pregnant with my youngest child who just celebrated her first birthday. She is my fourth child. Prior to my pregnancy with her, I'd never experienced any type of pain and certainly not Diastasis Pubis. I had an extreme case that started out with me using a walker. Toward the end I was using a wheelchair and was on pain killers. It was so incredibly painful. Toward the end, my OB gave specific instructions to the nursing staff to not weigh me because the two inch step up I'd take to get on the scale would make me cry. We tried physical therapy and the support belt, but unfortunately nothing worked. Because of the complications, I opted to have my tubes tied after delivery. It's a decision that I'm still broken up over. I had SPD with my son, and as this artical stated, being pregnant with now my second child, it's much worse. It's good finding things like this out there, as my doctor I had with my son, had never heard of this condition where as my new doctor suggested it right off the bat. With my first child, I felt no pain til around 6 months into my pregnancy, this time I was 2 months by the time I first started having issues. It's good to know that if I ever decide to have another child (to shoot for a girl), that I will have to deal with this again, so I will be prepared and ready.